There are a few foods that jump immediately to mind when one thinks "St. Patrick's Day." 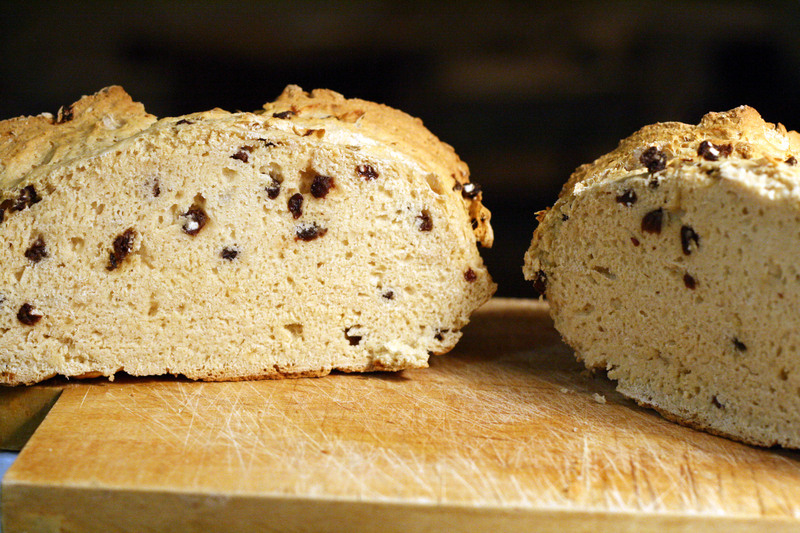 Irish Soda Bread is one such recipe. With just four basic ingredients (five if you add currants or raisins), this bread is simple to make and really delicious to eat. 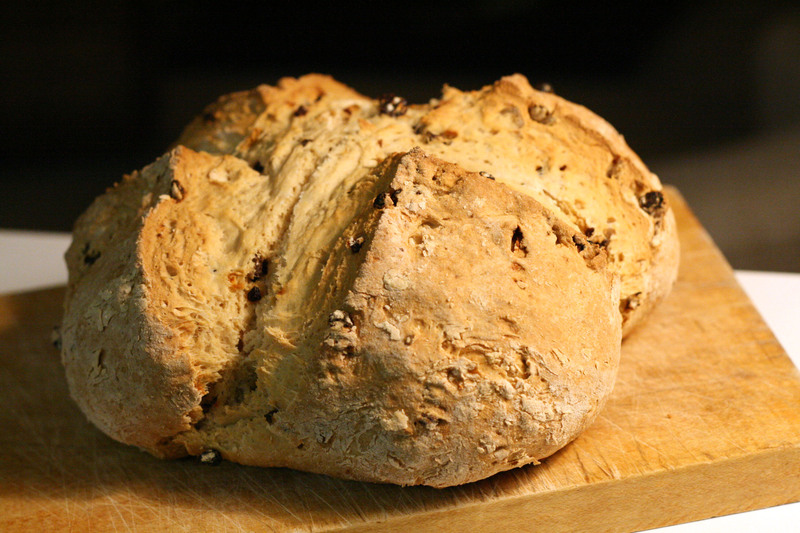 The only thing to remember: soda bread goes stale and hard in a matter of hours. It's best to enjoy this bread warm from the oven, within a few hours of baking. Preheat oven to 375F. Grease an 8-inch glass pie plate or a baking sheet. Put the flour, baking soda, and salt in a medium bowl and stir with a fork to blend. Add the buttermilk and stir vigorously until the dough comes together. Add dried fruit if using. Turn the dough out onto a lightly floured work surface and knead gently for a minute. The dough will be soft and malleable, but, tantalizing as it is, it should not be overworked. Pat the dough into a disk about 6 inches across, slash an X across the top, cutting it about 1/2-inch deep, and place the dough in the greased pan or on the baking sheet. Bake for about 50 minutes, or until the slash has widened and the bread is golden brown. Transfer to a rack to cool completely, then slice or wrap in a moist towel until ready to serve. Allow the bread to cool completely before serving. The bread can be kept for a few hours, wrapped and at room temperature, but by the end of the day, with just the wee bit of fat that's in the buttermilk, it will turn hard as the Blarney Stone. Delicious! We made this bread on St. Patrick's Day, and tried is with whole wheat flour -- it was wonderful! Thanks for the recipe.